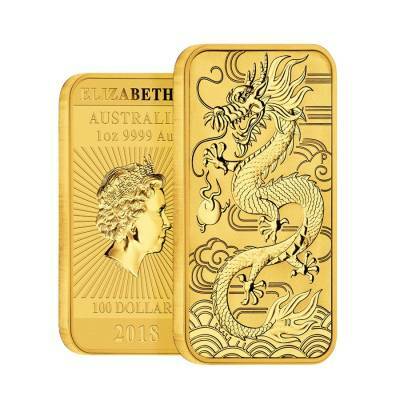 The 2018 1 oz Gold Australian Dragon Coin Bar is the newest addition to global bullion poised to take the numismatic world by storm. 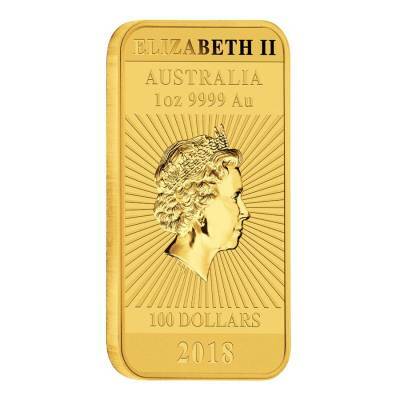 This first rectangular gold bullion coin out of Australia’s Perth Mint features a beautifully detailed design, the highest purity of gold available, and with a $100 face value. 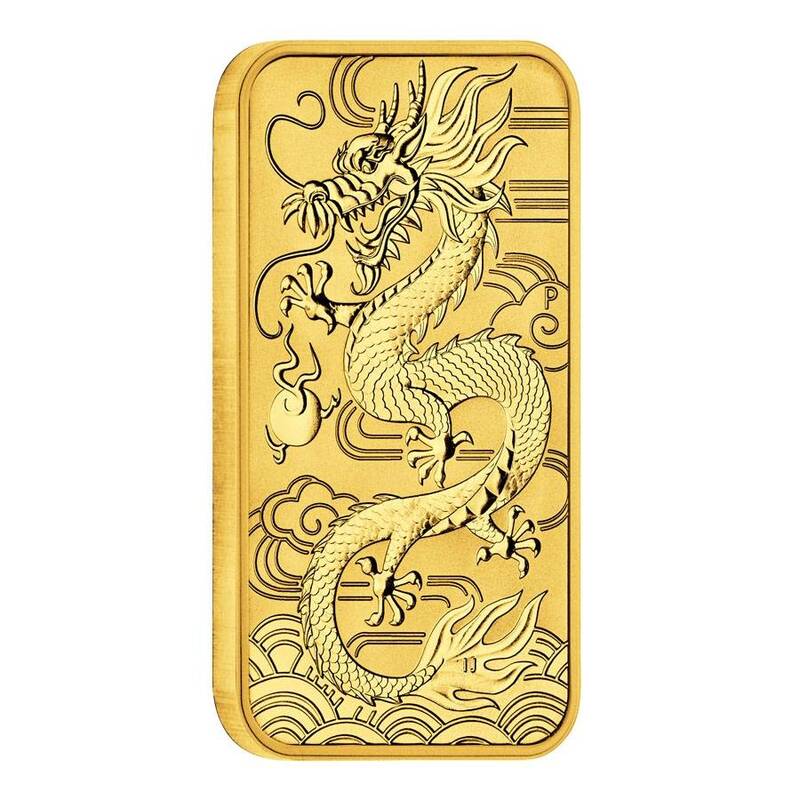 This new release has a mintage limited to 25,000 and showcases an image of a Chinese dragon, celebrated as a symbol of power, strength, wealth, and good fortune. 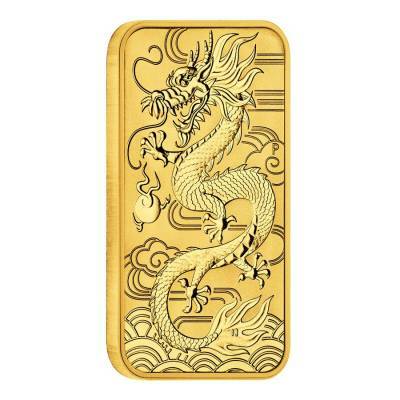 Many images of the dragon in Chinese culture show it alongside a glowing or flaming pearl, which symbolizes wisdom. Add this exciting new release to your collection today! A face value of $100 AUD. Legal Australian tender and fully backed by the Australian government. Mintage is limited to 25,000. Obverse: Displays the Ian Rank-Broadley effigy of Her Majesty Queen Elizabeth II, along with the year of mintage, the weight, and purity of the coin. Reverse: Features a stylized image of a dragon reaching for a flaming pearl against a background of wind, clouds, and water, along with the P mint mark to denote the Perth Mint. Very sharp piece of gold !